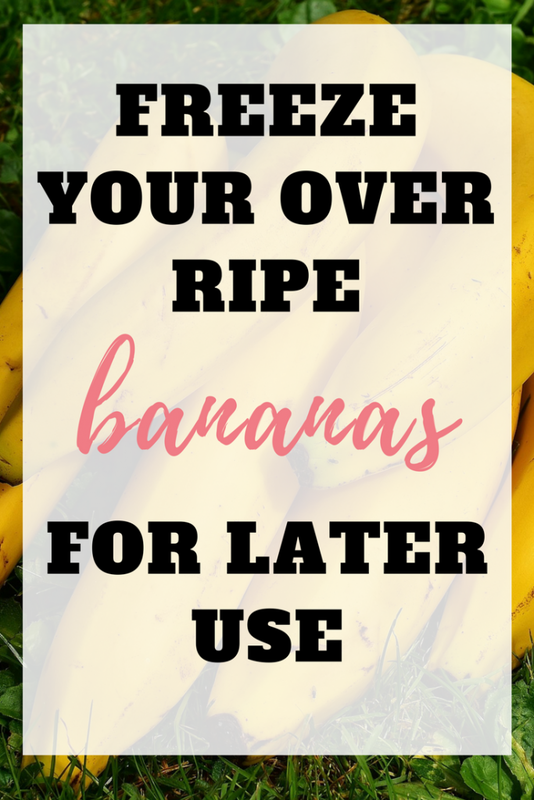 Most thriftsters know all about making banana bread from ripening bananas, but what about if you actually have a job/life/family commitments and can't drop everything to make 3 loaves of banana bread and then post the recipe to your blog and Pinterest? Aka us “normal folk”. 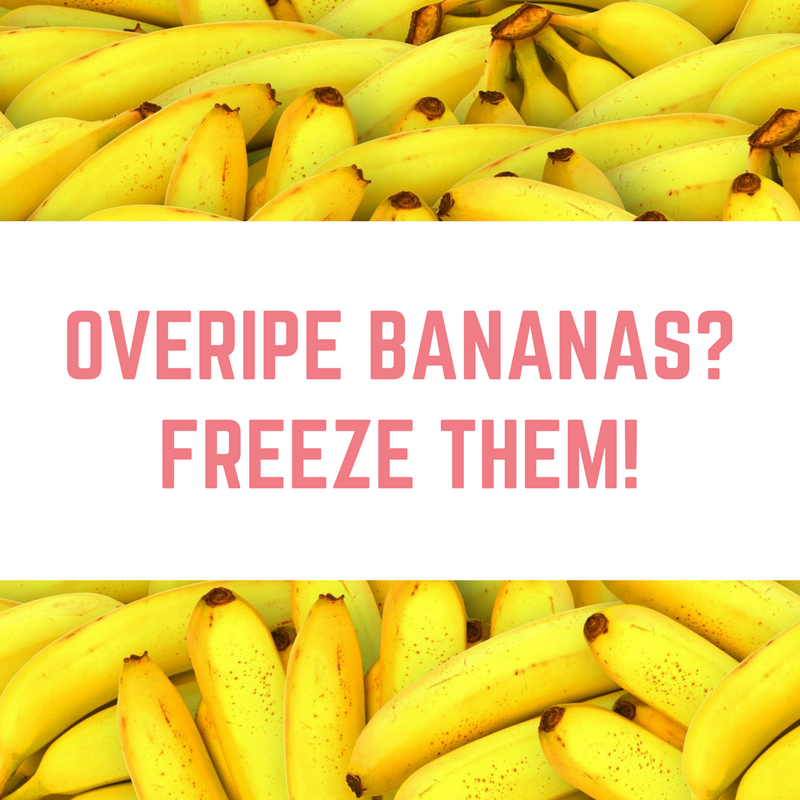 Did you know that you can freeze overripe bananas and just dig them out at a later date to make your delicious banana bread? 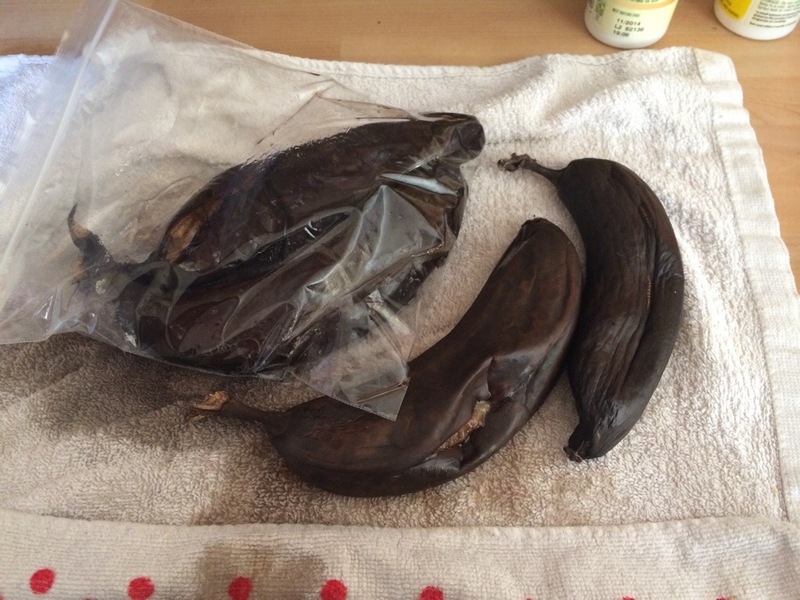 I hate overripe bananas, so once they've got a tiny speck of brown on them, they get thrown straight into the freezer – whole. Next time I'll be putting them in freezer bags, as I ruined a tea towel whilst they defrosted. They don't look particularly nice, but the black colour of the skin is totally fine. Once defrosted, I used the following recipe from Simply Recipes. Notice the lack of walnuts – because walnuts are expensive and I don't need them to enjoy my banana bread. Not a fan of banana bread? 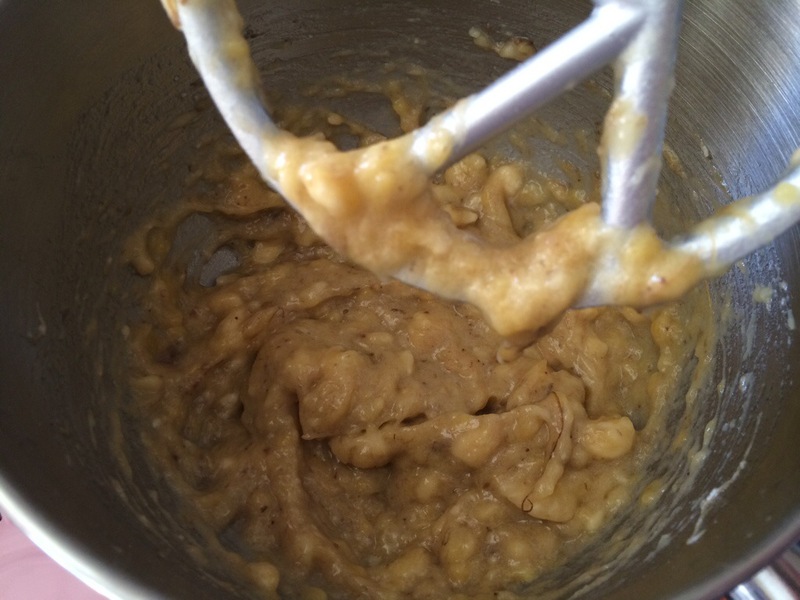 Don't worry – I've pinned a whole heap of recipe ideas for overripe bananas for your perusal. You might also like this recipe for quick easy banana cakes. I peel mine before freezing. Great as a base for thickening smoothies. Great idea. When I was a kid we used to have frozen bananas for a snack. They were frozen peeled so we easy to eat. More versatile when they are frozen without the peel. Way too many pages of this site being spammed on SuperPoints! Q: What type of links should I submit? A: Submit any links that you think people will love in a category. It’s all about discovery! Q: Can I submit affiliate links? A: The “affiliate” part of the link will be stripped. Also, people tend to frown these. Q: What happens if members frown my links? A: If you get too many frowns on any link, you will not be able to submit for awhile. Q: What happens if members heart my links? A: If enough members heart your links, you’ll get bonus Superpoints! Q: What are hearts and frowns? A: When you click on a heart or frown, you’re letting the system know what you like and don’t like, so it can try and find things that are more relevant to you from the links that have been submitted. Q: What should I heart? A: Heart anything you love and want to see more of. Q: What should I frown? A: Frown anything you don’t like and want to see less of. Q: How many pages can I discover per day? A: There’s currently no limit to the number of sites you can discover per day. If you don’t stop harassing me then I will report you to your ISP and to Superpoints. 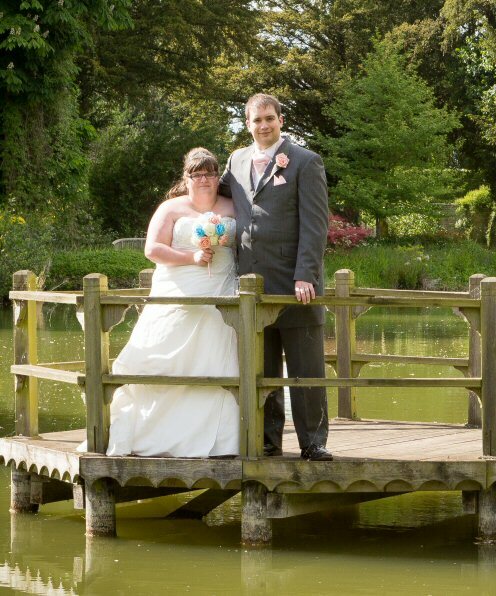 As they mentioned, if a link isn’t for you, the frowning face is there.